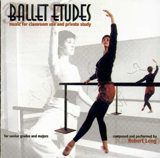 On this page, you can order my albums of music for ballet class in CD format only (please refer to my home page for other options: CD, download and stream). 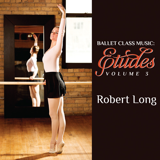 These CDs were created especially for ballet instructors and ballet students, with selections for a complete class, including barre and centre floor practice. Price is $17.95, all CDs, delivery included (CDs in stock). Purchases via PayPal, or contact me if you require other options (refer to “Contact” in the Menu).